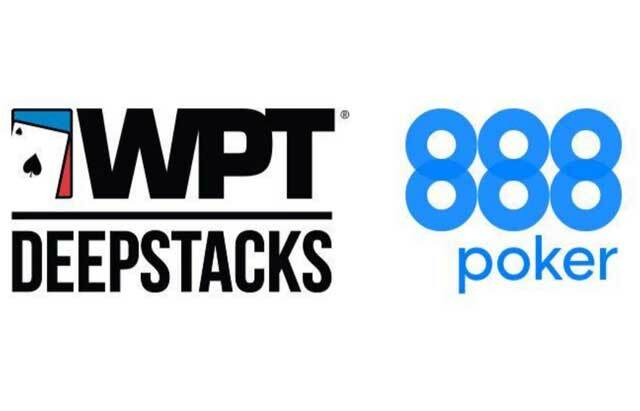 A new global partnership between 888poker and the World Poker Tour will allow players from all over the world to qualify for select live WPTDeepStacks events while playing on 888poker. The WPTDeepstacks brand aims to offer players a global tour that features mid-stakes buy-ins for their Main Events with deeper, “bang-for-your-buck” structures. Now, with WPTDeepstacks partnership with 888poker, certain international stops will be augmented with even more online qualifiers. The first event players will have an opportunity to satellite into will be the Main Event of WPTDeepstacks Berlin held at the Casino Spielbank Berlin in Germany. It’s a three-day, €1,500 tournament that marks the start of the Season XVI European Championship Festival. WPTDeepstacks Berlin kicks off the New Year, running from January 5-8 2018, and features a €500,000 guaranteed prize pool as well as a live-streamed final table. Qualifiers are available now on 888poker. Players can win their way into the Main Event starting as little as $.01 by clicking on the Live Events tab in the player client. 888poker is providing two options for players to help them with their shot at the big one in Berlin. First, players can opt to satellite into the $1,750 “seat-only” qualifier where 888poker will provide winners a seat in the tournament with no hotel or travel provided. Additionally, there is a larger $2,400 WPTDeepStacks Berlin package that provides not just a €1,500 ticket into the tournament, but an additional €300 to assist with accommodations as well as €250 in travel expenses. Take note: While entry to the satellite is made in USD, the tournaments entries and additional funds are in Euros. The $109 seat-only satellite runs every Monday night at 7:35pm GMT now through December 24 and awards one seat for every $1,750 included in the prize pool. The $160 package to Berlin is scheduled to run every Thursday, also at 7:35pm GMT and also through December 24. One package is awarded for every $2,750 collected in the prize pool. The €1,500 WPTDeepStacks Berlin Main Event is part of a larger festival that hopes to keep players in action all week long with 11 additional side events. The schedule includes a pair of €10,000 High Roller tournaments, a €500 Pot Limit Omaha tournament, a number of one-day NLHE Turbos, as well as the €3,300 World Poker Tour European Championship, a five-day event with a €1,000,000 guarantee that begins on January 10. The WPT European Championship event will be filmed for inclusion in WPT’s televised Season XVI. WPTDeepStacks Berlin is the penultimate event in the current WPTDeepStacks Season IV one that, when completed, will have seen 28 events taking place while making a mark on five Continents. Although Berlin is thus far the only announced stop in the new partnership between WPT and 888poker, with both companies touching worldwide audiences, it is expected that more online-to-live event qualifying between the two will take place in WPTDeepStack Season V in 2018.